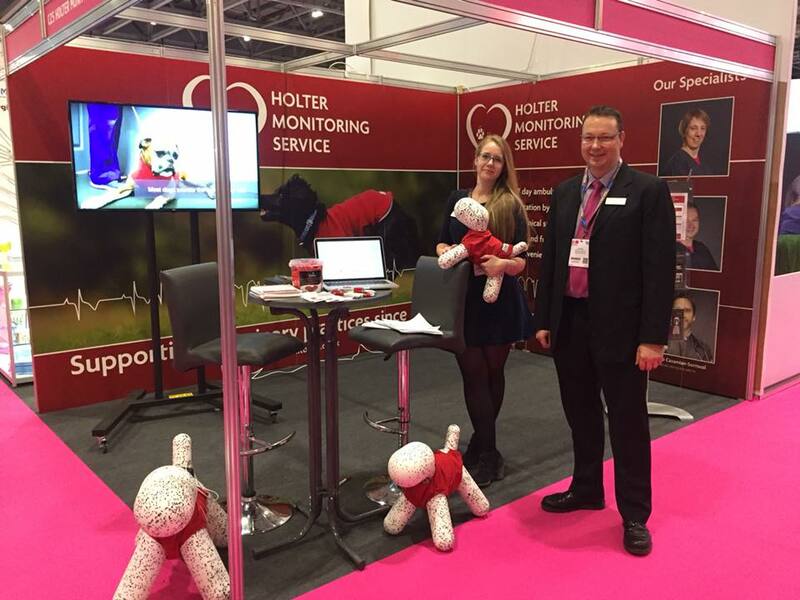 Members of our Cardiology and Nursing Teams were out and abut at The London Vet Show last week, providing information and advice about continuous heart monitoring and the Holter Monitoring Service. This was established in 2005 by Ruth Willis to support vets in small animal practice by providing ambulatory ECG (Holter) monitors and interpreting the results. Last year, Ruth joined DWR and the service has continued with the added support of the full Cardiology Team as well as colleagues in other disciplines who can provide clinical input when necessary. This is the only such service in which the analyses are performed by Veterinary Specialists who can advise on whether further investigations or treatment are required. Ambulatory ECG monitoring can be useful in a number of scenarios including: investigation of collapse, exercise intolerance, arrhythmias, monitoring anti-arrhythmic drug efficacy and screening of those breeds predisposed to heart disease.